I have just heard from Dr. Torres-Russotto and he is prepared to move ahead with the second session of research to take place sometime in September/2014 - exact date unknown ; it is difficult for him to get exact dates until he knows numbers of people interested/eligible. If you have NOT been contacted by me recently and would like me to send your contact information on to the doctor you can email me at peggyincanada@gmail.com - I need your name, address, email address, telephone number, and I will pass it on to him. Once he knows more specific information, he will contact you directly to see if you are interested and eligible to participate in this. I am also advising that, once I pass this info onto the doctor, he is not allowed to reveal who is participating so that you must contact me if you are going to Omaha so I can have names and numbers for setting up our meeting. I will also need to know if someone/name is coming with you and attending. You will be advised of more details re an agenda and accommodation once I know dates etc. That is all the information I know at present - I will wait to hear from you if I should pass your name on to him. OT Clinical Studies to Continue! 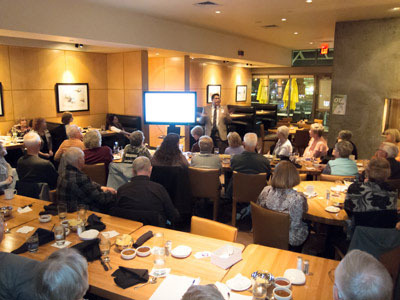 In October of 2012, 22 members of the OT Family (and 24 control subjects) gathered in Omaha, NE, to meet Dr. Diego Torres-Russotto and to participate in Phase I of the largest clinical studies on Orthostatic Tremor to date. We came home thrilled with the attention, resources and enthusiasm being directed at learning more about OT. Dr. Torres-Russotto, the principal investigator, is on staff at the Department of Neurological Sciences, University of Nebraska Medical Center (UNMC). His research is dedicated to unlocking the causes of OT by studying balance mechanisms of “normal” subjects and balance disturbances in patients with OT. 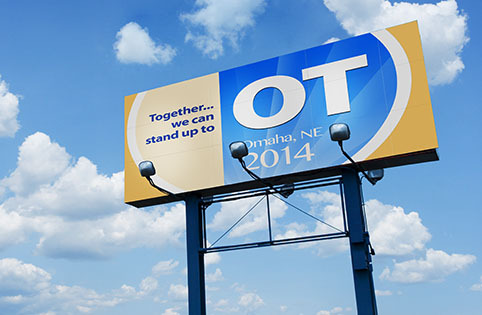 The clinical studies Phase II will be held this September with many original participants returning to Omaha along with new volunteers from the more than 900 of us registered on the OT website. Information about the upcoming clinical studies will be coming directly from Dr. Torres-Russotto to those signed on to participate. Anyone interested in receiving information about future studies may send name, address, email and phone number ONLY to peggyincanada@gmail.com and she will pass your name and contact info on to the doctor. Learn more by clicking on the link below. If you wish to join those of us who support Dr. Torres-Russotto’s work, donations may be made to OT research at UNMC. Dr. Torres-Russotto’s research is separate from the OT Research at NORD (National Disorder of Rare Disorders) that we also support, and about which you will receive an update next month. Just wanted to let you know that there were 70 people who are interested in getting information on Omaha from Dr. Torres-Russotto. I have sent all the names and contact info on to him - he was just thrilled with the response and will be getting in touch with these people as soon as he has the dates etc. figured out. He just said that because of the large number of people interested it will take time to figure things out but he is doing his best to get back to everyone as soon as he can. That is all I know, you will be hearing from him next - he also said they are still targeting for September. He will be in contact with everyone who sent me their name and contact info as soon as he can with further information and details. Great job Jeff on the previous post!! Things are progressing well in regards to arrangements for the research and meeting that will take place in Omaha - September 22-26, 2014. I keep in regular contact with Dr. Torres and previously submitted 65 OT people and their contact information. His team that consists of 6 doctors including himself, 4 registered nurses, 3 physio-therapists and administrative staff have been working very hard I know to get all the details and arrangements ready for everyone coming. He has said that they are all very excited to have us coming! They are in the process of phoning everyone now and that should be hopefully completed at the end of next week so then everyone will know if they are consented and we can get on with booking flights and hotels etc. I would say that enthusiasm is very high for people - this will be the largest OT gathering every. We will be reporting back to the forum after the meeting to give everyone the details. With the plans for the September 22-26 Omaha NE meeting and research in progress, I thought it might be good to repost this link to the video from the first session in Omaha 2012 with Dr Torres-Russotto. Chair Yoga at the Omaha meeting with Stephanie Watson! A session on Tuesday 9/23 and 9/25 is planned. No experience is needed, this should be a great experience for all. You will receive registration and additional information in your meeting emails. To help with the travel to Omaha, the OT travel information page has been updated to include a new TSA Notification Card. Also there are new links to several government (US and EU) and airline websites with travel planning and resources. Build and share information, if you find relevant travel links or tips please send it along so that we can post it and help other people with OT. Peggy has been very busy and plans continue to move forward for the upcoming Omaha meeting. Chair Yoga is on! But, there are a couple more spots available, so there is still time to respond. Also, we are fortunate to have a discussion led by an individual that has had DBS to help her OT. The activities email (which hopefully you have received) has several contacts listed for each of the activities, please respond to hold your place at the events. Dr. Torres recently returned from an international meeting for Neurologists dealing with Movement Disorders and he reported briefly to me on this so I just wanted to share it with you. The meeting went well. We presented two posters of the OT study. You can share this with the community. 1. EEG tests seem to be normal in most OT patients and therefore are not able to diagnose or recognize OT. Until these two are not published in a peer-reviewed journal their value should not be overstated. We will submit them for publication this year. Please thank all of the participating for their support!! I just received an email from Dr. Torres-Russotto giving me some news on the research and also an update on the request I had put in to him to put together one page regarding OT that would be on their hospital’s website. Once this up and running, Jeff will link this page to our website so OT people can get factual medical information on OT. This is his reply – note that he refers to the sections of the research as “arms”. Tonight I have drafted the page and sent it to the Foundation and to our people’s website to see how we can get it posted. I will let you know as soon as it is ready to use. Other news: We are now in the midst of evaluating the data from the Balance blinded assessment arm. This is very complex as we are reviewing more than 200 variables. We have now added another member to our team that will be able to analyze the data of this study. This was the arm that was accomplished by the Physical Therapist and their evaluation of the many Balance scales that we performed on the participants. This arm of the study will be able to measure the extend and severity of the balance impairment on patients with OT, and therefore will allow us to compare with other balance problems and explain the level of disability that this disease produces in our patients. The next arm to be reviewed will be the ascertainment of ataxia in OT patients. This was some of the physical examination that the neurologists performed during the study. . We are planning on deploying that in December. Anyways, great news so far. Please thank everyone for their participation and also for the continued support of the OT research Nebraska Foundation Fund. Director. UNMC Movement Disorders Program. Medical Director. Nebraska Medicine Movement Disorders Center. Program Director. The Rhonda and Howard Hawks Fellows in Movement Disorders.